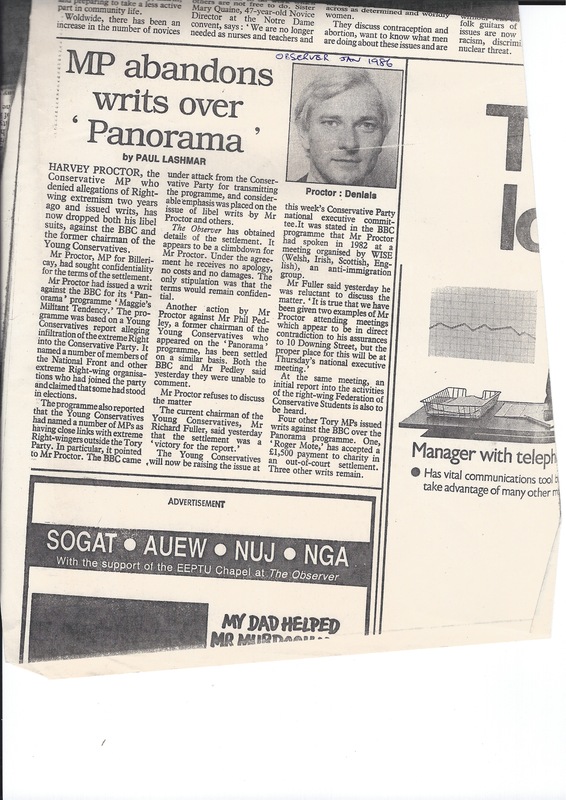 For reasons not covered in the National YC Report but related to aspects of it, Harvey Proctor found himself in a difficult position. Neither he nor his solicitor could allow the cases to continue to open court. 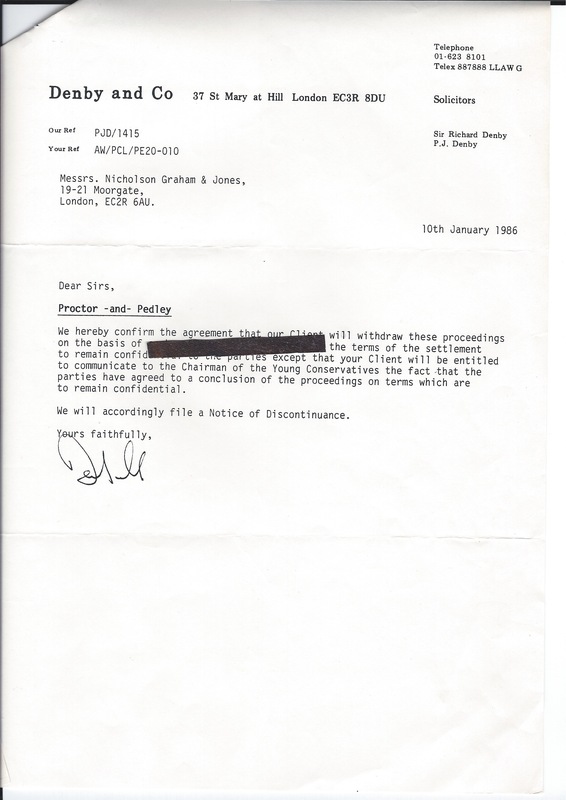 In the summer of 1986, Harvey Proctor MP’s solicitor, Denby & Co contacted Pedley’s solicitor’s and the BBC to say they wished to discuss withdrawal of the libel action. The terms were discussed over a number of months and were agreed by the end of January 1986. The terms were meant to be confidential but were leaked by BBC journalists and covered in the press.